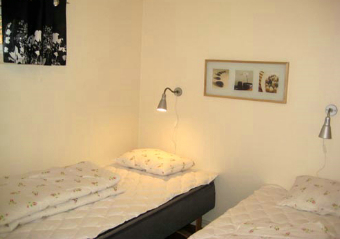 Welcome to Wiggersvik Camping & Stugor. 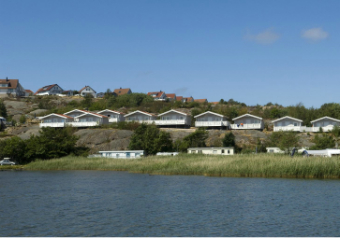 Our modern campsite is located right by the sea. 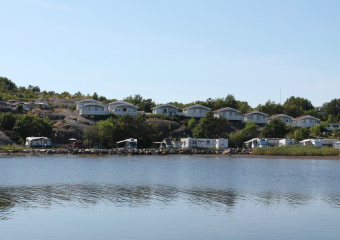 The varied landscape of Bohuslän Archipelago where the sea meets the granite offers all kinds of opportunities for relaxing and enjoying the salty water and lovely sea views from our beautiful campsite. Take a dip in our solar-heated saltwater pool. Enjoy a cup of coffee, soft drink or ice cream on the ice cream kiosk terrace in the sun with splashes of saltwater. Our new relaxation area Kompassen has a Jacuzzi, sauna and balconies with lovely sea views where you can train or have a nice massage, etc. We also have the conference centre Fyren with the large hall Hållö and small hall Vinga. Scenic environment approx 2.5 km from Kungshamn and 3.5 km from Smögen. Go by car, cycle or taxi, or walk. We have some 220 pitches with electricity and 2 large reserve fields with unnumbered pitches, with and without electricity – perfect for campers with tents. 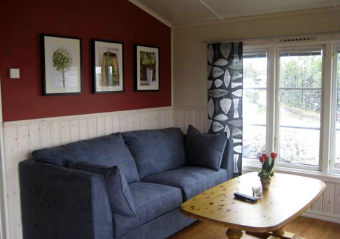 We also have 48 cottages of different sizes with 2 to 6 beds. 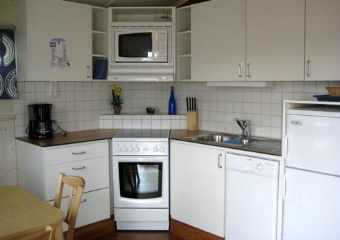 All the cottages have an equipped kitchenette and patio. There is also a WC, shower, microwave and TV. Some of the 4-bed cottages have a WC but no shower. The small cottages do not have a TV or microwave. Service shop, kiosk, fully licensed restaurant serving today’s special lunch, à la carte and pizza, and a fast food stall. Troubadour a couple of evenings a week in peak season. Minigolf, conference and spa, TV lounge, boule court and BBQ area. Hire of boats, canoes, pedalos, cycles, caravans and cottages. Fishing, jogging track, etc. New service facility, and sauna every evening in peak season. 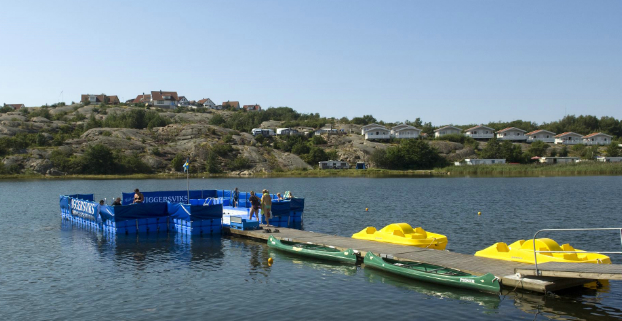 Smögen, Kungshamn and Hunnebostrand offer many nice experiences including walks on the jetty and fun evening entertainment. A visit to the lobster academy and fish auction, a boat trip to Hållö with cliffs and swimming, and a nice walk to Nordens Ark or Smögenbryggan Bridge are all worthwhile and obvious outings. Welcome to Wiggersvik in Bohuslän on the West Coast! We hope you’ll have a nice and sunny visit to our campsite. 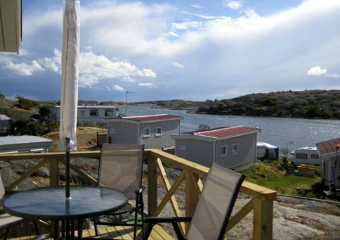 At our campsite, most cottages have a lovely sea view. The cottages are grouped in small holiday villages and contain kitchens with cooking utensils, terrace with garden furniture, and most of them have TV. Pets are welcome in some cottages.